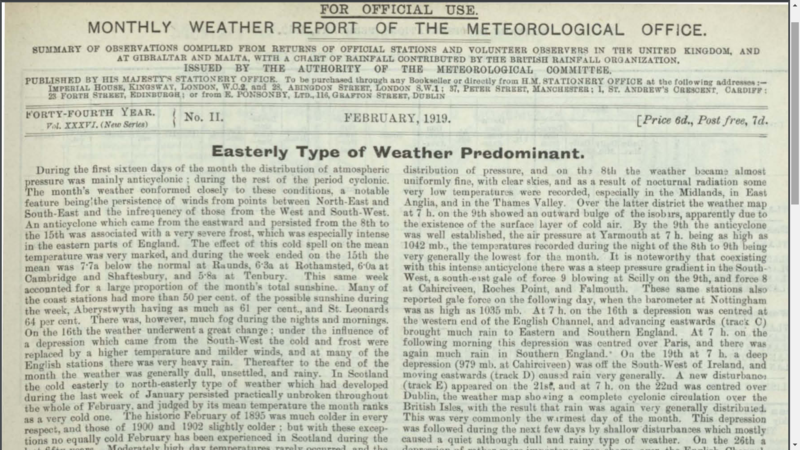 February 1919 was very cold and frosty with variable amounts of precipitation of rain and snow with persistent winds. The highest temperature recorded was 12C with lows well below freezing, a common theme throughout the month everywhere. 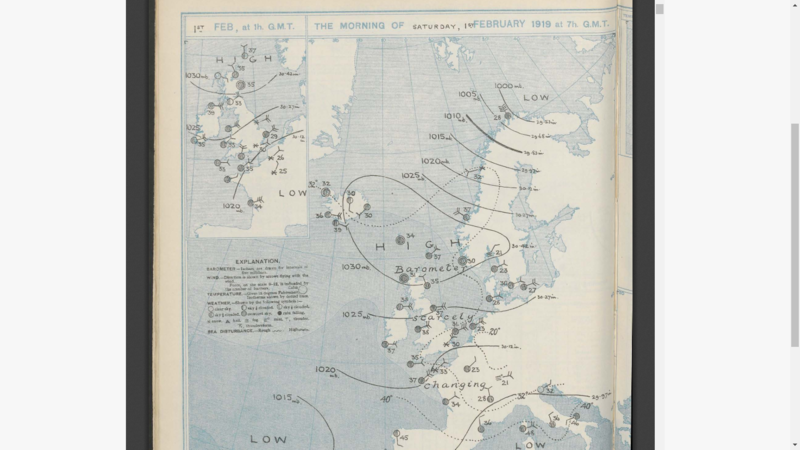 On the 1st February 1919, London and many places in the SE were below freezing with a continental low moving in whilst the North was slightly milder with high pressure. 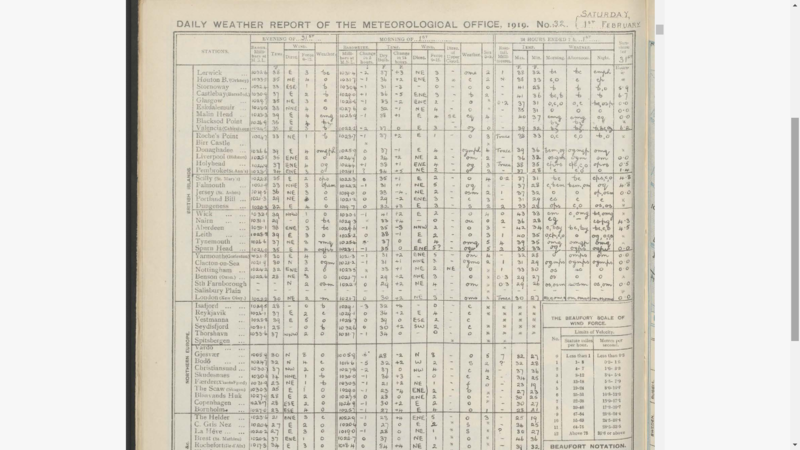 Even Reykjavik, Iceland had a higher recorded temperature than many areas of southern England.